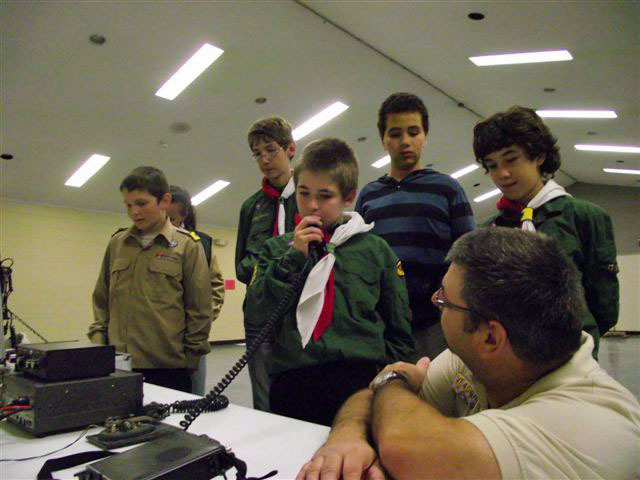 In October of 2012 the 60th Scout Group was attending the Jambore On The Internet (JOTI). 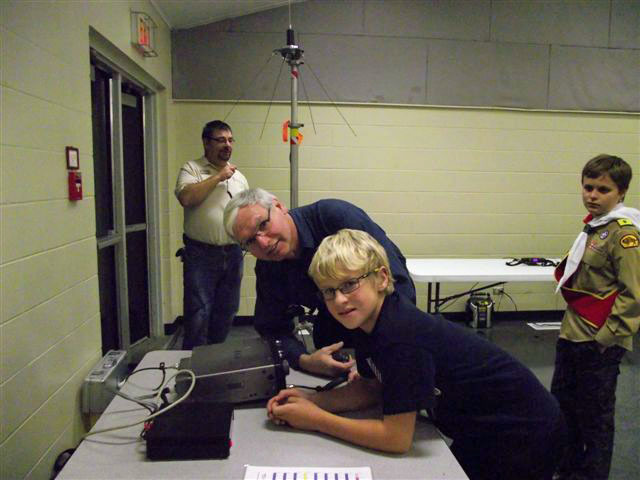 One member (Jeffrey Kazuk) was not able to attend, because he was taking a course to help him become a licensed amateur radio operator. 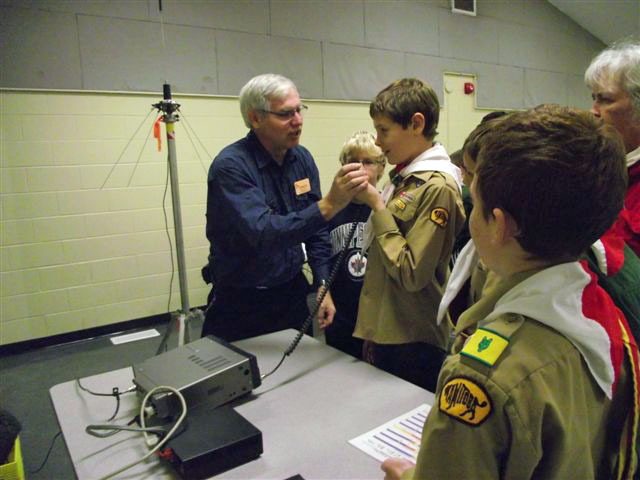 While Jeffrey was explaining this to the Akela, the idea of some of the VE4MEC club members coming for a visit was discussed. The end result was Richard VE4KAZ, Glen VE4GWN, and Rosi VE4YYL doing a demonstration for the 60th scout troup on Monday October 22nd. 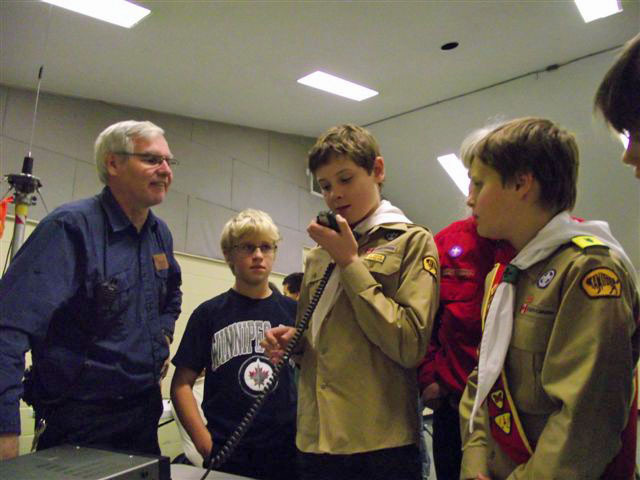 They setup a VHF station along with an HF station on 40m. A SKED was setup with Darcy VE4DDW about 80km away, to talk live to the kids. Conditions held out long enough for everyone to get a quick chance to talk. 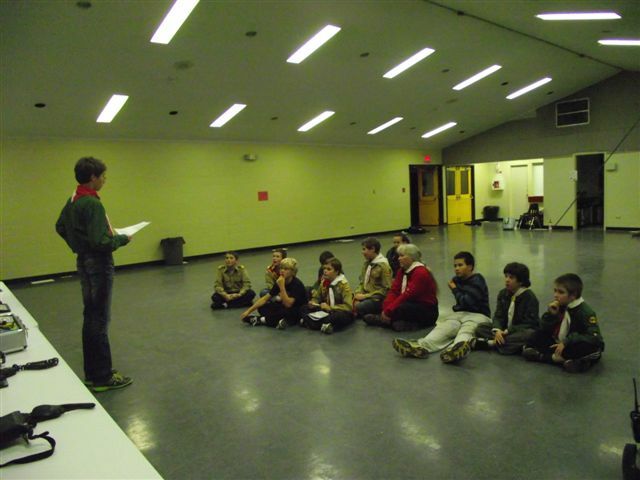 It was a fabulous experience for both the scout troup and the club.